ColorImpact is an award-winning Color Scheme Designer for Windows, combining ease-of-use with advanced features. ColorImpact offers superior integration with most popular applications for design, multimedia and web development. It is a professional tool for creating harmonious color schemes. The program is based on the color wheel developed by master painters of the past. 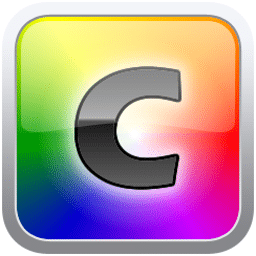 ColorImpact is aimed at professional multimedia and web designers, but is simple to use even for beginners. 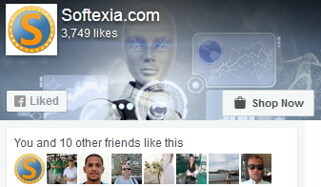 It includes many features for quick access from Photoshop, Dreamweaver, Fireworks, FrontPage etc. Several color formulas are built-in including triads, complements and analogous colors. And you can even design your own custom color formulas for exploring advanced color schemes. By selecting the right color scheme, you can convey an underlying message to strengthen your designs. Built-in Color Theory Tutorial – learn while having fun! Extract color palette from images. Sophisticated image analyzer extracts the color palette from any image. This is the method used by top designers to create a beautifuly balanced color palette. Full support for CMYK colors. Create color palettes for use in InDesign, Photoshop and Illustrator. Color combination tester. New tool for testing all color combinations in a palette. Very useful for designing charts, maps, user interfaces and color palettes that require sufficient contrast between the colors. Automatic Online Updates. Minor version updates are free – and they are easy to install! Support for hexadecimal shorthand notation. Shrink web designs and CSS style sheets dramatically by using shorthand notation. Advanced option to fine tune color palette. Double click a color in the palette to lighten darken or fine tune the hue. Supported Operating Systems: Windows 2000, XP, Vista, Windows 7 (32-bit, 64-bit). Fixed: Application crash on invalid color profile installed.